The Ndiyo project was about taking very simple pixels-over-networks technology and using it to make IT more affordable and sustainable for the world. The Ndiyo model is to allow several people to use a PC at once, and so break the traditional one-PC-per-person model which has doiminated recent computing in the developed world. We took advantage of the fact that Linux not only has no licensing costs, but is inherently multi-user from the ground up. 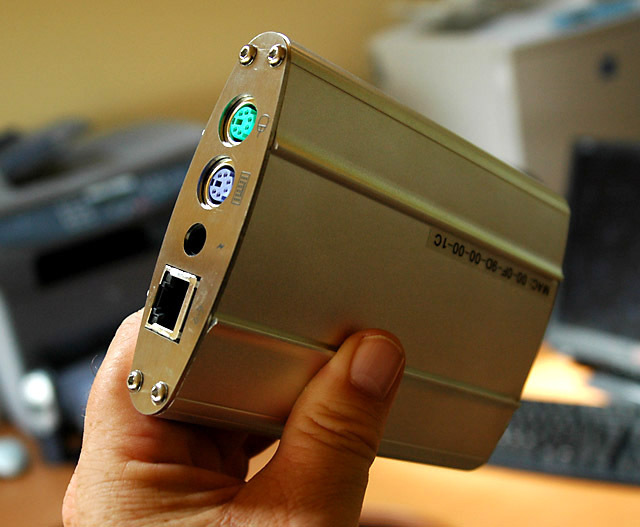 We combined that with affordable, environmentally-friendly technology which allows us to connect multiple screens, keyboards and mice onto a standard ethernet network, and the result was a splendid system for internet cafes, libraries, call centres, schools that allows several users to share a single PC but still have a high-quality computing experience. Ndiyo itself was a not-for-profit organisation dependent on donations, but spawned the creation of two companies: DisplayLink and Camvine. Ndiyo received coverage in The Guardian, The Economist, Slashdot, Engadget, ZDNet, the BBC World Service… to name a few. More details can be found on the Ndiyo site. Home / Companies / Ndiyo . Click the button at the top for more.